Len Lye Centre/Govett Brewster Art Gallery, New Plymouth, New Zealand. April - August, 2017. In 1926, abstract filmmaker Oskar Fischinger (1900-1967) began performing multiple projector cinema shows in Germany with up to five 35mm film projectors, color filters and slides. Fischinger wrote of his concept of Raumlichtmusik (space-light-music), believing all the arts would merge in this new art. 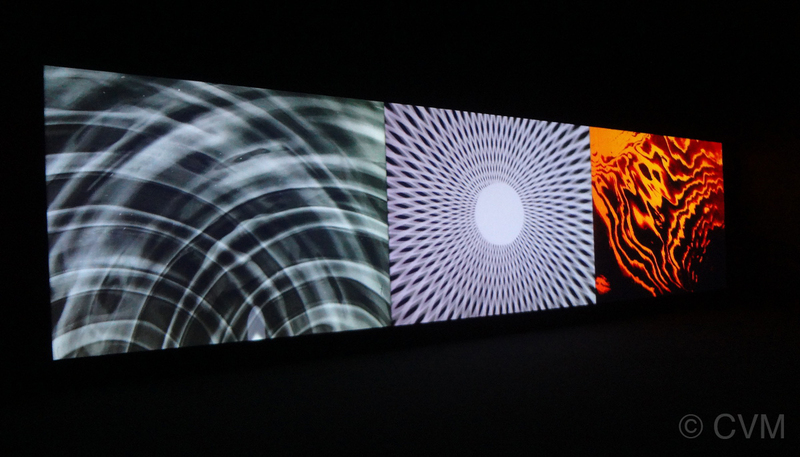 The critics called his performances "Raumlichtkunst" and praised Fischinger's “original art vision which can only be expressed through film.” These shows represent some of the earliest attempts at cinematic immersive environments, and are a precursor to expanded cinema and 1960's light shows. Under the concept name of "Raumlichtkunst," Fischinger performed several different versions of these multiple projector shows in the late 1920s, some of which were called Fieber and Macht (Power). Biographer William Moritz speculated that another name used may have been R-1 ein Formspiel, though no reviews or documentation exist of this name. Our re-creation does not strive to represent any one specific performance, rather the concept and effect of Fischinger's series of shows. Working with Fischinger's original 1920s nitrate film, Center for Visual Music restored the 35mm film via traditional photochemical processes, transferred to HD, digitally restored the color, and reconstructed this 3 screen recreation of his c. 1926 - 27 performances.The 3 screen installation is projected in High Definition video. No documentation exists of the original music used, other than reports of "various percussive" accompaniment. For this re-creation we have chosen to use Varese's Ionisation and two versions of Double Music by John Cage and Lou Harrison. Long before he became an American, Fischinger was part of the international avant-garde of modernism's most radical phase. Oskar's early abstract experiments push aside narrative and reduce cinema to pure plane, scale, motion and color. Because of his highly accessible later work, especially from Radio Dynamics onward, and because of the musical dimension, he is generally regarded as a colorist/lyrical film-maker. But the early experiments including Raumlichtkunst are much more formalist and invested in the specificity of the medium. They are closer to Malevich, the suprematists and the futurists in intent - all in search of the absolute in painting and in cinema. Curator/archivist Cindy Keefer has given illustrated talks about Raumlichtkunst and Fischinger in New York, London, Linz, Brisbane, Hamburg, Oberhausen, New Plymouth NZ, Laguna Beach CA and other cities. Music Consultant: Richard H. Brown, Ph.D. Thanks to: Barbara Fischinger, Cinemaculture, William Moritz, Chrissie Iles, Stuart Comer, The Fischinger Trust, and Xarene Eskander. Additional thanks to Goethe Institut Paris (for support during Paris exhibition), Joshua Harrell, and Media City (Ontario). Film restoration done by CVM at Film Technology Co., Inc., Hollywood. HD post-production and color timing at Technicolor. Thanks to Opticus for L.A. HD projection tests. 2017. Taranaki Daily News. Avant-garde music and cinema installation comes to New Plymouth's Len Lye Centre. May 15. 2016. Nick Pinkerton, Frieze.com. Dreamlands. 2014. The Sublime and Cultural Difference by Kathryn Weir on QAG/Goma blog (Brisbane), 30 September. 2013. Keefer, Cindy. Oskar Fischinger's Raumlichtkunst. In Keefer, Cindy and J Guldemond, eds., Oskar Fischinger (1900-1967): Experiments in Cinematic Abstraction. Amsterdam and Los Angeles: EYE Filmmuseum and Center for Visual Music, 2013. 2013. Vertical Cinema, Kontraste Cahier #3. Edited by Mirna Belina and Sonic Acts. Amsterdam: Sonic Acts Press. July 25, 2012. Movie Journal, by J. Hoberman. Oskar Fischinger's Film of the Future, 1926. Artinfo online. Keefer, Cindy. 'Raumlichtmusik' - Early 20th Century Abstract Cinema Immersive Environments. Leonardo Electronic Almanac, Creative Data Special Issue. Leonardo: The International Society for the Arts, Sciences, and Technology, and MIT Press. October 2009. PDF. Keefer, Cindy. "Space Light Art" - Early Abstract Cinema and Multimedia, 1900-1959. White Noise. Ernest Edmonds and Mike Stubbs, Eds. Melbourne: Australian Centre for the Moving Image, 2005. Ex. Cat. Moritz, William. 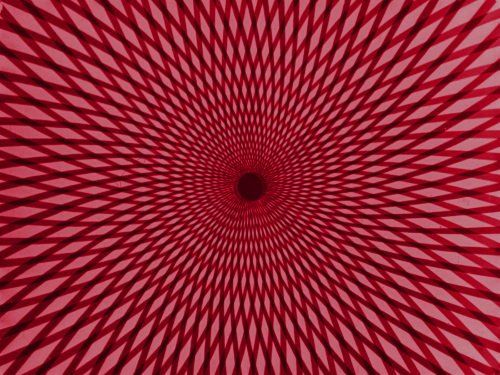 Optical Poetry: The Life and Work of Oskar Fischinger. John Libbey Publishing, 2004, pp. 11-16, 202-204.